UPDATE: To save space on our website and to save on load time our Member's Area will now present more text information on members rather than so many pictures. This change is to make room for more technical documents in other areas of our website. This will also allow members to find info on other members and projects in a quicker fashion. Check our our Links Area for links to member created sites. My name is Justin R. Ratliff and I am the current President of The Robotics Club, I'm also the website administrator so if you have a suggest for our website drop me a line. I'm from Ohio, in The United States of America! I like to play the drums (I have a 5 piece Pearl set) and study military history. My member name is RoBoJRR and you can see my picture by clicking on my member name and reading my Yahoo Profile. Also if you should be reading this and work for a place like D.A.R.P.A. or Sandia National Lab please share your wisdom on how you get a job like that! 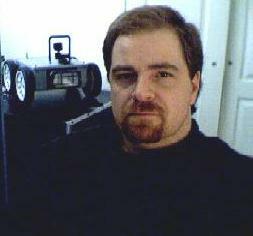 My Current projects include working on my fighting robots, figuring out how to apply Kevin's A.I. Theory to my robot Wally and keeping this website updated. I also helped to create our TRaCY robot kit. You can see some of my robots at our picture archive at our Yahoo club area. 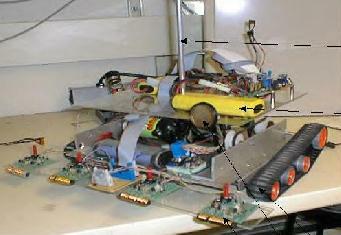 Below is a picture of my robot lab. Our new club co-founder is Michael Thompson strider_mt2k@yahoo.com. Michael is going to be helping out with out Yahoo are message boards. Michael has done some fantastic work with his Probe robots. Here is a link so you can see for your self. 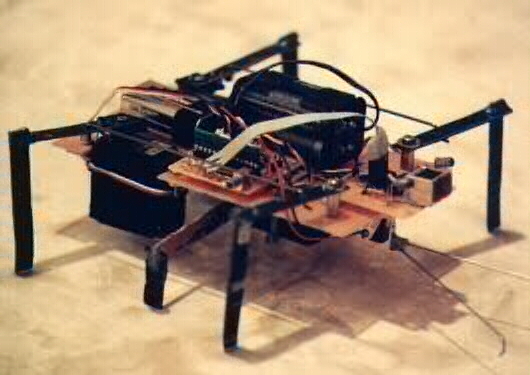 I think Probe based robots are the way to go if you want to start on larger scale robots! Fellow member RoBoJasonS or Jason is a good friend of mine and together we built the robot named The Ladies Man, which can be seen on the Robot Menu at the Arrick Robotics website. This is club member Dennis Clark with his horsy. Pictured to the right is one of his creations named BugBot. You can click on his or BugBot's picture to visit either site. Dennis really knows his stuff! Dennis created the controller board for our TRaCY robot kit and also sells some fantastic chips and boards that he makes small runs of. You can also see Dennis' new robot named GodZukis pictured to the lower right. He makes Basic Stamp II all in one robot controlers, IR sensors, servo and PWM programmed PIC chips and lots more at great prices. Check out his Bot Links to find out more. 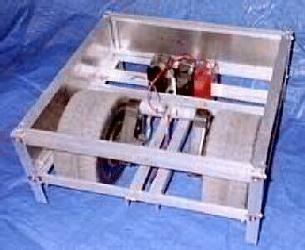 Dennis has also entered a fighter in the TRCY Robot Fights named Evil Empire. 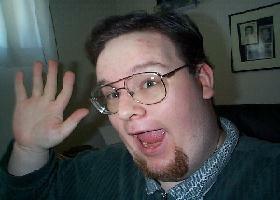 Carlo Bertocchini, also know as Robotman420 on Yahoo is owner of Robot Books.com! You can get all sorts of neat stuff from there. hylander_ii's real name is Jon and he is working on an autonomouse underwater robot sub, which sounds like an awesome idea! Check out Hylands Underwater Vehicles to find out more. 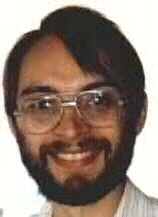 This is a cartoonic picture of fellow member Gary Croll, better known as KE6GHS. Gary's son even joined TRCY and his member name is KE6LCO. Gary was also instrumental in the creation of our TRaCY robot kit! This is fellow member Neil Chakrabarty, be sure to read his posting cause he has a computer engineering degree! You can click on his picture to go to his website. Don't miss seeing NeilChak's Neural Pages if you are at all interested in neural nets! Neil has done a great job on this site for TRCY so anyone can learn about neural nets! 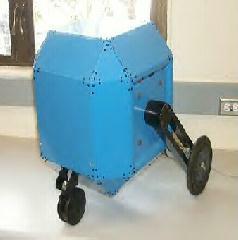 This is fellow member Joe Partlow's robot Kronos (cool name!). You can click on his robot to go to Joe's Web Page. 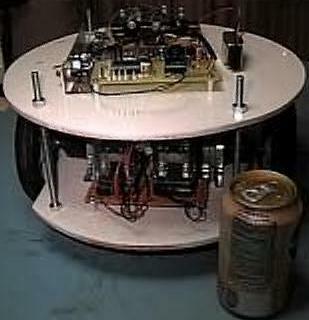 Joe might enter his robot ScrewBot in the TRCY Robot Fights. But, if you ask me ScrewBot is starting to look too nice for that. 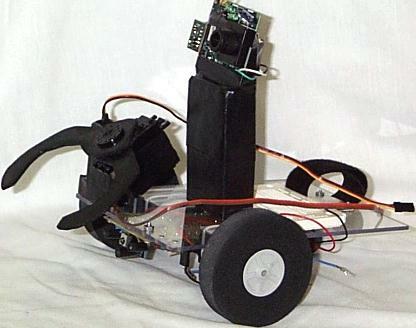 Fellow member Darkwater_5's robotics current creation is named PAC RAT. Be sure to visit his site! He has great schematics for building your own line follower. Darkwater made a club screen saver with some of our robots which you can download from TRCY's Software Area. If you have a robot you want in the screensaver then be sure to e-mail DW as we call him. 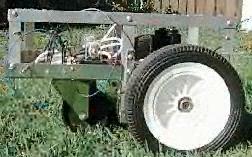 Fellow member Joe Piche or Fast79ta joines TRCY from Canada and is working on a robot called BAR S2L or Bar Stool. Joe has a great site which details the stuff in his robot. Joe is making his robot as cheap as possible, but it working on some really awesome ideas. One of the hacks on his website shows you how to hack a 660 Polaroir Sonar unit. You can reach his site by clicking here. Destroy804 (who does not wish to use his real name) joined the club with little knowledge of the real workings of a robot. Since he joined he has come a long way in a short amount of time. He has built his own TRaCY robot kit and is helping to expand the uses of TRaCY. He prompted us as a club to enter the Trinity Contest, which we will in 2001. He has learned a lot in a few short months since he joined TRCY. I'm sure he will continue to be an active member of TRCY! 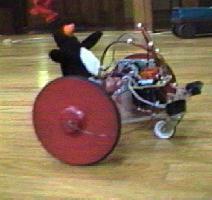 This is fellow member Dave Everett's mowbot. You can visit his site by clicking on his robot. Dave is a member from Australia and keeps pretty busy. 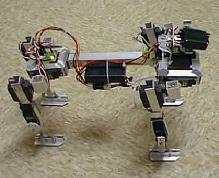 He is working on a biped walking robot using servos. Another unique robot created by fellow member ELReado who is 15. His creation is called SloBot. 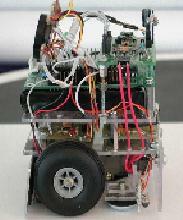 Click here to view more picture of is robots from our Yahoo Photos area. Speaking of a walking robot, fellow member Liao Choon Way is modeling an anthropomorphic robot after himself. He is using a mix of HS-805 and HS-815 Hitec hobby servos which are capable of producing 24kgcm of torque. To find out more click on here to go to his website. 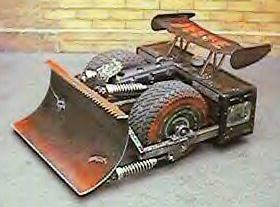 TRCY member moonsun_il or Maroof Rabba from Palestine wants to make robots reliable to explore under ground ruins. Our thanks go to Izzy on Yahoo! for thinking to start a robotics club!! Izzy is the original club founder.